On this evening I arrived to photograph the fall colors, only to find that all the leaves had been blown off the trees. After quickly thinking through my options, I remembered a location that I had found the previous week, well off of the beaten path. I raced up there as fast as I could and found the conditions to be perfect. 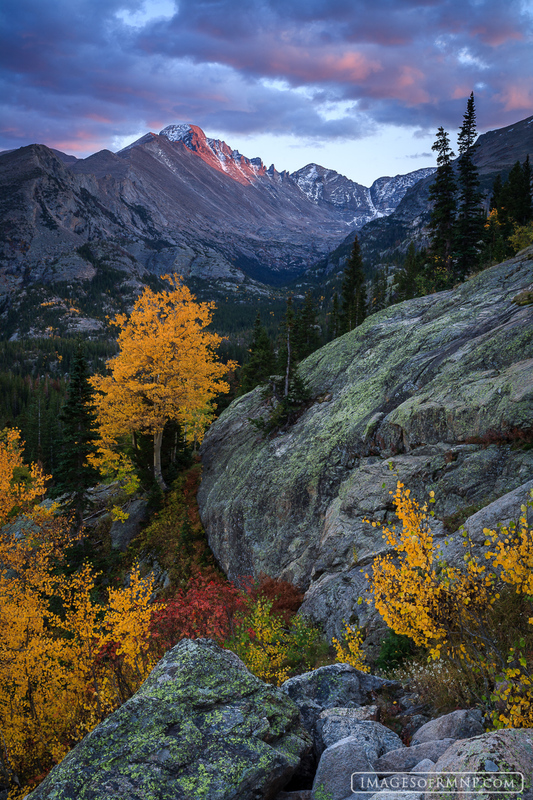 As the sun set, its last rays illuminated Longs Peak and the clouds above while below yellow aspen and red elderberry sang the song of autumn's glory. Photo © copyright by Erik Stensland.